Having booked by e-mail and paid in full up front, I had slight reservations along the lines of "will this bus turn up on the day.....?" 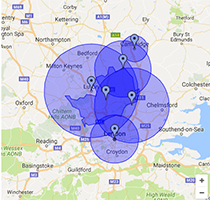 but they did and everything worked fine, and it was a real talking point on a very enjoyable day! 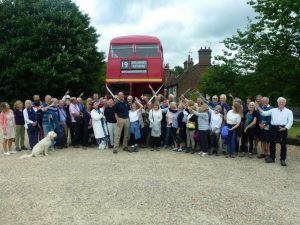 50 of us used the bus to drive to Ashridge for a country walk, and then back to a pub for a long lunch. 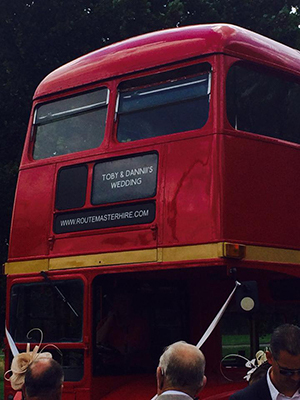 Everyone loved being on the bus, especially when the champagne came out on the way back! The bus was very smart and well preserved and the driver and conductor were polite, efficient and did a good job. 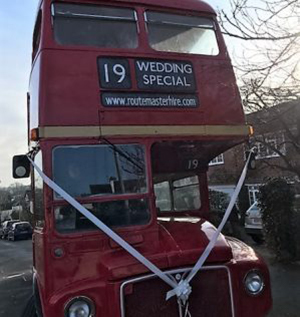 Having booked by e-mail and paid in full up front, I had slight reservations along the lines of “will this bus turn up on the day…..?” but they did and everything worked fine, and it was a real talking point on a very enjoyable day!